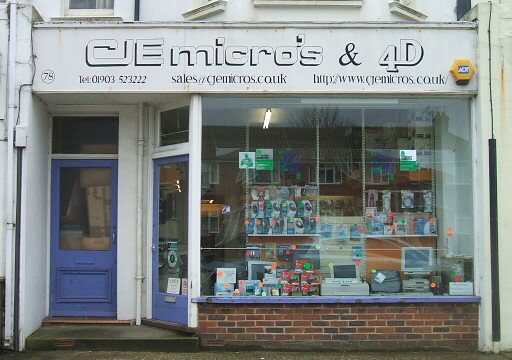 CJE Micro’s was established in 1982 and has always specialised in Acorn Computers. It is now a leading supplier of Acorn Computers and their accessories. An ‘Acorn Centre of Technology’ since their inception, we have gained a reputation for a broad knowledge of Acorn systems, with high quality pre and post sales service, and one of the widest range of Acorn and third party extras. CJE Micro’s have over the years developed their own products for Acorn Computers. In recent years this has included the fastest RiscPC PC cards. CJE Micro’s are continuing to expand their range of ‘in house’ products through development and acquisition, having taken over production of MidiMax cards and the distribution of Eclipse games. The merger in 1998 of the retail activities of Norwich Computer Services and CJE Micro’s, led to an even wider range of products on offer to our enlarged customer base. In August 1998 ‘The Fourth Dimension’ became a sister company within the CJE Fold.